Committee Room 6, Palace of Westminster, Tuesday 19th July, 3:45pm to 5pm. 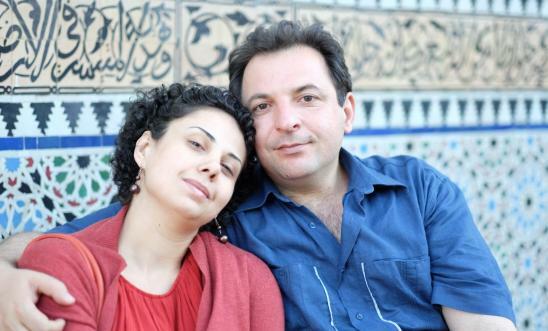 The APPG Friends of Syria, in cooperation with English PEN, Amnesty International UK, and PEN International, is hosting a meeting with two remarkable Syrian activists, Mazen Darwish and Yara Bader. Journalist and lawyer Mazen Darwish was released from prison last August, after three years in detention in Syria. Founding director of the Syrian Centre for Media and Free Expression (SCM) and a leading human rights activist, he was subjected to torture and enforced disappearance. 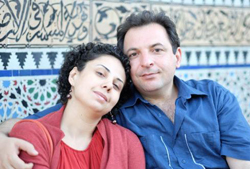 His wife, journalist and activist Yara Bader, led the campaign for Mazen Darwish’s release. In 2015, Human Rights Watch awarded her the Alison Des Forges Award for Extraordinary Activism. Please join us to hear Mazen and Yara talk about their experiences and to discuss how to support their fight to protect human rights in Syria. Committee Room 6, Palace of Westminster, 15:45 to 17:00, Tuesday 19th July. Update: See the special issue of Syria Notes on detainees published for this event.